FLINT — A very special presentation was made at the Hurley School of Nursing last week, when Grand Blanc’s own Melissa Schummer and her family presented the first ever outpatient Beauty Box for kids in Hurley’s outpatient care system that might need that special boost that McKenna’s legacy gives. An understandably very emotional Melissa told the story of how McKenna’s legacy came about and described the installation of a room at Detroit Children’s hospital which is full of makeup for children there going through chemotherapy and other cancer treatments. Schummer was joined by McKenna’s sister Hannah and dad Todd as well as special guests Lauren and Kathy Stansburry. Lauren is one of McKenna’s classmates who was diagnosed with cancer about a year after her. Hannah presented Lauren with the first ever outpatient beauty box. 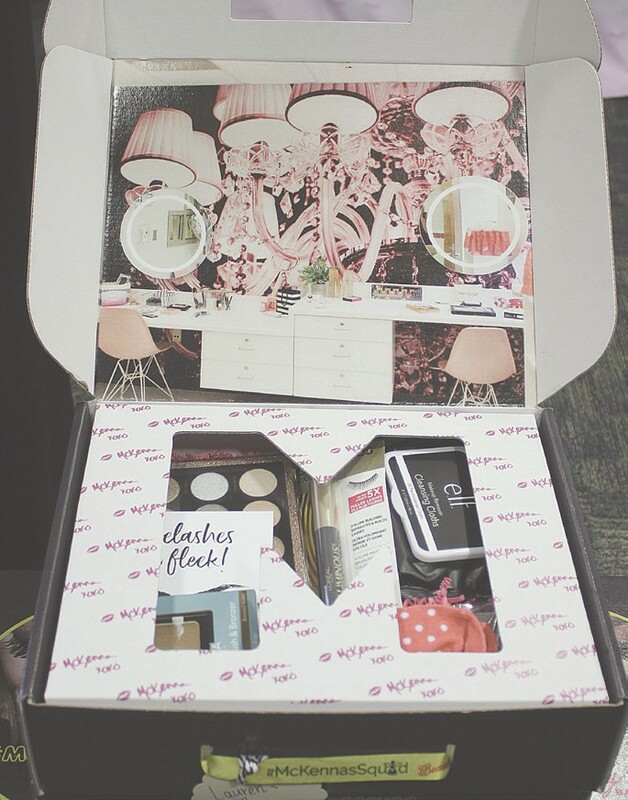 “We did want you to get the first ever McKenna’s Squad Beauty Box in honor of McKenna,” Hannah told her. Tears were all around and Lauren’s mom spoke about how difficult her journey had been and how much the support of Schummer’s family and McKenna’s friends, known as #McKennasSquad, meant to them. 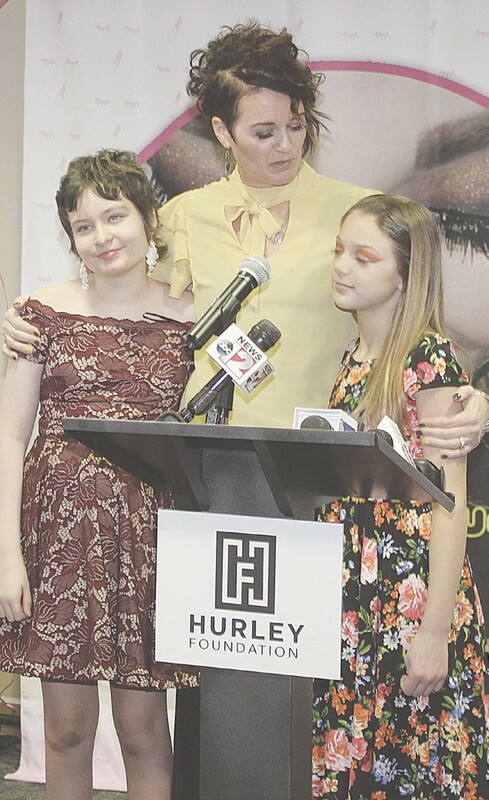 At left, Lauren Stansburry stands with Melissa and Hannah Schummer as the next version of McKenna’s legacy is unveiled in a portable, outpatient beauty box for Hurley patients. McKenna’s passion was makeup and during her own treatment she spent hours online viewing YouTube videos and finding out all she could about and learning how to do makeup. She said McKenna’s friends (#McKennasSquad) were responsible for supporting them through her illness and passing away. Although it might be assumed the boxes are strictly for girl patients, makeup can help boys look better too, especially when going through the rigors of chemotherapy and Melissa is a huge believer in the difference it can make to kids who are in the worst part of their lives. Hannah is writing a story about how to cure cancer and her family’s journey according to Melissa. The boxes were designed by Landau Packaging, who is known for their support of the Teddy Bear Ball in Grand Blanc. The outpatient project was the brainchild of work with a friend of Melissa’s, Lindsay Clark who is on the Hurley Foundation, and the foundation, president Mike Burnett said. He added it was a very fast process, due in part to Melissa’s perseverance, after coming to the foundation last June. Burnett thanked Mark Landau, vice president for Landau Packaging and innovation for his “incredible expertise” with paper and cardboard and helping bring the project to fruition very quickly.